If you are a music lover or someone who truly values great sound quality, picking headphones is something you would want to do carefully. You wouldn’t randomly choose something from some unreliable store. Buying one is something you would probably consider an investment. It’s important to look for quality and the features or functions that suit your needs and preferences. 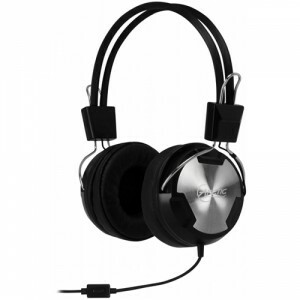 As such, it helps knowing some ideas on how to find the best headphones for your needs. Headphones, basically, are miniaturized right and left loudspeakers intended to be tightly in contact with a user’s ears. They could be wired or wireless. They usually depend on an audio source as they typically don’t come with their own music players or radio tuners. An audio source could be a radio, CD or DVD player, portable media player, mobile phone, or a device that broadcasts wireless signals. Generally, the term “headphones” includes earphones or earbud speakers although many try to distinguish them. 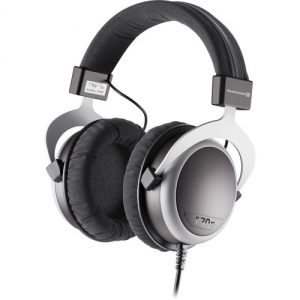 Headphones are generally considered as bigger than earphones and are usually more conspicuous because of the headband component that connects the two speakers. Headphones usually don’t come with their own battery or power supply. However, there are newer units especially the wireless ones that come with their own batteries and wireless communication parts. Portability and privacy and two of the main reasons why headphones are designed the way they are. They need to be light to be easy to carry. Likewise, they should produce sounds that are loud enough to be heard by the user without being too loud to damage the ears. Headphones work just like regular speakers but on a smaller scale. They obtain audio signals that are translated to sound through vibrations of magnets. The vibrations of these magnets are influenced by iron coils that either pull or push the magnets. The iron coils, upon receiving the signals from an audio source, act as electromagnets. The iron coils are directed to push or pull the magnets of the speakers, creating sound waves as the speaker diaphragms are set to motion. Bigger speakers require amplifiers to be able to produce sounds because moving the magnets in them require a higher amount of power. Headphones or smaller speakers, on the other hand, only require a small amount of electricity for their magnets to move. This electricity can be sufficiently supplied by the audio signal source such as a portable media player or mobile phone. There are headphones designed to perform noise cancellation. They prevent noise from external sources from reaching the ears through circum-aural padding foams. These padding foams prevent or minimize external noise from drowning the sound produced by the headphones by tightly covering the earlobes. Noise cancellation may also be performed through the emission of sound frequencies similar to noise to conceal these noises and create the impression that noises are not reaching the user’s ears. There are at least seven major classifications of headphones. These are the circumaural, supra-aural, clip-on headphones, ear-fitting headphones, headsets, open or closed back, and wired or wireless. These types are not necessarily different from each other. Circumaural and supra-aural headphones may be closed or open-back. Similarly, headsets may be circumaural or supra-aural. These headphones are also referred to as full-size headphones. They feature ellipsoid earpads that cover the ears. They completely enclose the earlobes to deliver focused audio to the ears, minimizing external noises. Noise cancellation pads are wrapped around the speakers so they can cover the ears adequately, preventing ambient sounds from reaching the ears. These headphones are generally big or bulky. Users can’t avoid wearing them conspicuously. Many manufacturers try to minimize the size of the headband to reduce weight and provide improved comfort. There are also those that make the headband and speaker connections adjustable to make them fit different sizes comfortably. One Ear (Supra-aural) headphones are slightly different from circumaural ones in the way they are intended to deliver sound to the ears. Instead of completely sealing the earlobes, they are merely pressed against the ears. This means that they don’t have passive external noise cancellation mechanisms. They allow noises from the environment to enter the ears while similarly allowing the sounds they produce to be heard by other people to some extent. Nevertheless, they are smaller and lighter than circumaural headphones. They can be deemed more comfortable because of their lightness but the pressure exerted by the headbands to press the speakers to the ears can become uncomfortable in the long run. Clip-on headphones are regular headphones sans the headbands. They feature clipping components that allow them to be attached to the earlobes They are like a combination of full headphones and earphones. They are relatively comfortable to wear but there are those who complain that they don’t seem to deliver audio to the ears that well. They can’t be pressed tightly enough to the ears so ambient sounds easily overwhelm their output especially if they don’t produce high enough volume. Ear-fitting headphones are also called earbuds or earphones. Many people usually differentiate headphones as the bigger ones while earphones are the smaller type directly inserted to the ear. There are two types of ear-fitting headphones: the earbuds and the in-ear earphones. Earbuds are miniaturized headphones designed to be worn right on the ears. They don’t have headbands. They are tiny speakers directly attached to the ears but not right into the ear canal. They are notable for being comfortable to use for long periods of time although they usually pose the problem of tangled wires. These ear-fitting headphones are used by inserting them into the ear canal. 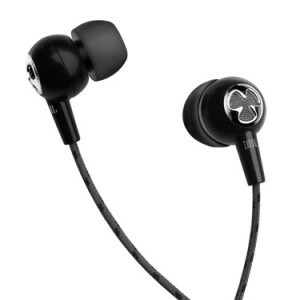 Compared to regular earbud headphones, they offer a more focused sound delivery. They prevent external noises from reaching the ears. Also known as “canalphones,” these earphones feature pointed silicone rubber, foam, or elastomer buds that focus sound into the ears. 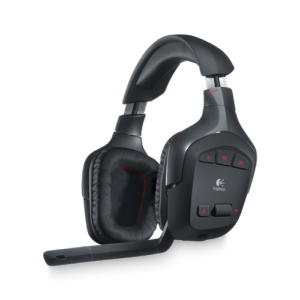 Headsets are headphones that integrate microphones. They feature two connectors to connect to both microphone and headphone sockets in a computer, communication equipment, or multimedia device. They are mostly used in the telecommunications industry, mainly to make and receive calls especially over the Internet with an accompanying video of the person with whom the user communicates. Headphones can either be wired or wireless. Most wireless headphones use Bluetooth technology to connect to an audio source but there are also those that make use of the less power-consuming Wi-Fi connectivity. Wired headphones obtain power from the audio source or multimedia player itself through the same wire used for obtaining audio feeds. Wireless headphones, on the other hand, have their own batteries (usually rechargeable) and contain wireless communications radios. There are also headphones that employ an NFC-Wi-Fi combination. NFC is intended for device pairing while audio streaming is handled by Wi-Fi connection. Headphones can either be open back or close back. 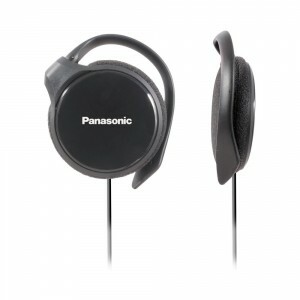 Open back types feature earcups (the part of the headphone that produces the sound) that are open. This opening allows some sound to spread behind the headphones while letting ambient sounds in. This may be viewed as a defect but others prefer it as it delivers a more natural speaker-like sound and a sense of a wider soundscape. Closed back headphones are the typical headphones that only emit sound from one side of the earcup. They focus all audio to the ears, thus delivering deeper bass and more on-point mid and high tones. However, they are deemed to have a smaller soundscape. This refers to the accuracy, enjoyability, and in intelligibility of the audio output of headphones. This can be measured both objectively and subjectively. Objective measurements cover the volume, the wideness of the range of tones produced, the deepness of the bass, and the correct representation of the sounds fed by the audio source. 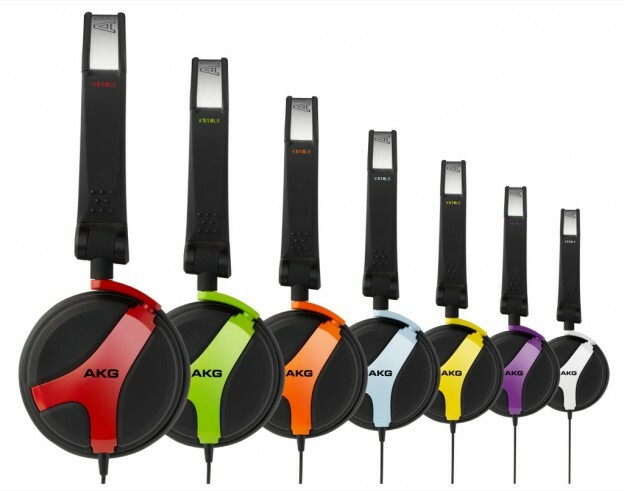 Many modern headphones already deliver good quality sound and are usually being subjectively evaluated by prospective buyers. Subjective sound quality evaluation relies on preferences over certain equalizations or configurations of tones. For music lovers and technical headphone users, noise cancellation is an important feature that needs to be evaluated. Noise cancellation can mean the cancellation of ambient noise or the removal of static noise attributed to wiring’s and the audio source itself. A preferable headphone is one that prevents external sounds and internal audio interference from affecting the audio output. This is the technology employed in producing sounds. It could be a moving-coil technology, electrets, electrostatic, or balanced armature. The moving-coil technology is the most commonly used transducer technology. It is also deemed as the most stable. Electrostatic transducers have the potential to produce the best sound quality but they need to be well designed and are very expensive to produce. Impedance is an important feature to consider. If output impedance of the amplifier or audio source is higher than what is rated on a headphone, distortion will be noticeable. Generally, higher impedance headphones produce lower volume for a given output level but they easily tolerate the limitations of amplifiers or audio sources they are used with. 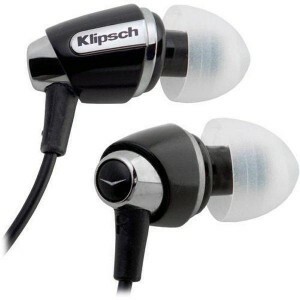 Lower impedance headphones tend to be more efficient and louder but they are selective with amplifiers. Quality amplifiers or audio sources will be needed to make the most of these low impedance headphones. This attribute means the ability of headphones to effectively convert an audio signal into sound. This is measured in decibels of sound pressure level for every milliwatt of electrical signal (dB SPL/mW). Most headphones have 80-125 dB/mW sensitivity. Higher sensitivity is generally preferable. This feature is about headphone design. Good headphones should be designed not just for the looks but more importantly for the comfort of using them. Headphones should not feel painful to head or ears. Generally, lighter headphones are better than heavier ones. Being adjustable is also deemed preferable. The aforementioned features have to be considered when looking for a good headphone. Sound quality is one of the top factors to take into account especially for audiophiles and those who value quality audio output for technical reasons. A headphone has to produce an accurate representation of the sound it ought to represent. It should be distortion free. The ability to produce a wider range of tones is always preferred. The bass should be as deep as the ears could hear while the high tones should cover the highest tones audible to the human ear. Additionally, headphones should provide comfortableness especially for prolonged usage. Those who are looking for the convenience of not having to deal with tangled wires should consider wireless headphones. Wi-Fi based wireless headphones are more advantageous because they consume less power compared to Bluetooth-based ones. On the other hand, adjustability also matters. Headphones with adjustable headbands and tiltable earcups are more comfortable as they can adapt to different shapes and sizes of ears and heads. On the technical aspect, it is generally advisable to choose headphones with higher sensitivity. Impedance, at present, is no longer given that much attention by typical consumers since most modern headphones have already addressed sound quality issues associated with impedance. Still, those who are using older hardware are advised to go for higher impedance. It is important to try the headphones first before buying them. Relying on reviews given by other consumers or even those provided by professionals isn’t going to make you find the best headphones for you. You have to consider your needs and preferences. The reviews or feedback offered by other users should only be used as guides. In most cases, choosing a good headphone is a matter of personal preference as long as sound quality and ergonomics are present. The following are the world’s top headphone brands you may want to consider. All of these brands are associated with great audio quality.